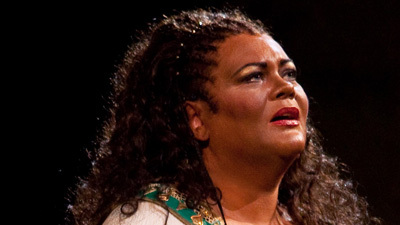 After inaugurating the new Metropolitan Opera House at Lincoln Center as Cleopatra in Barber’s Antony and Cleopatra, American soprano Leontyne Price returned in the same season to the role in which she remains without peer, the title heroine of Verdi’s Aida. The third of those performances, under the baton of acclaimed conductor Thomas Schippers, was this Saturday matinee broadcast from February 25, 1967. 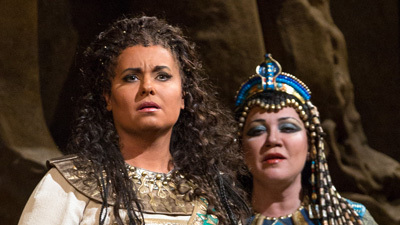 Her portrayal of the conflicted Ethiopian princess surpassed the expected qualities, with a here-and-now intensity that makes it essential listening. 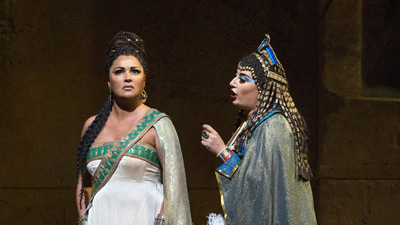 As the cunning Amneris, Grace Bumbry gave a scorching performance, and Carlo Bergonzi, a revered figure at the Met for more than 30 seasons, brought his uncommon style and elegance to the role of Radamès. Robert Merrill’s majestic singing as Amonasro speaks for itself.